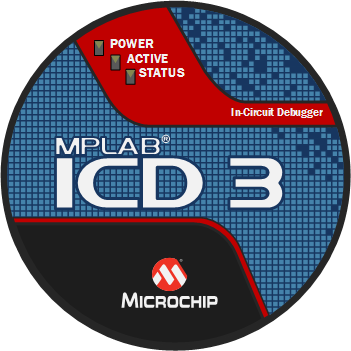 MPLAB® ICD 3 In-Circuit Debugger is Microchip's most popular hardware debugger/programmer. Like the MPLAB REAL ICE™ In-Circuit Emulator and PICkit™ 3, it can program and debug Microchip PIC® microcontrollers and dsPIC® digital signal controllers. Also it works seamlessly with the MPLAB X IDE. The MPLAB ICD 3 connects to a PC using a high-speed USB 2.0 interface and connects to the target using the same interface found on all Microchip Debugger/Programmers, an In Circuit Serial Programming (ICSP) interface.